70% of new homes that are built today use some type of asphalt shingle. Cost can be a major factor in choosing what roofing material to use. With asphalt shingles being the least expensive and with the ever expanding selection of colors, textures, and durability it is no wonder why asphalt shingles have become the most popular roofing material in america today. 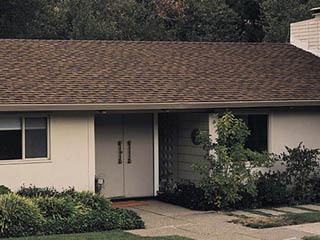 Asphalt Shingle Roofs have come along way since the three-tab shingle. 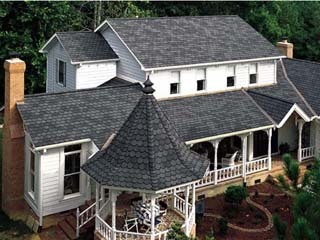 Manufacturers today offer a broad array of asphalt shingles in various shapes, colors and styles. As one of the world’s most highly regarded manufacturers of roofing for residential, commercial and institutional applications, CertainTeed designs roofing systems based on a full century of real-world experience. Triple M Contracting fully endorses CertainTeed’s products recognizing them as the best on the market. 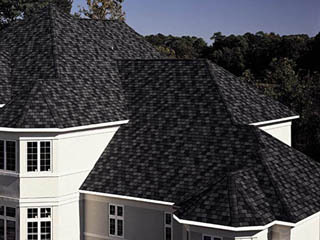 A super heavyweight that features two full-size, one-piece base shingles beneath a massive weather tab, 8″ exposure and virtually 5-layer coverage when applied. Grand Manor is where the science of engineering meets the art of design. 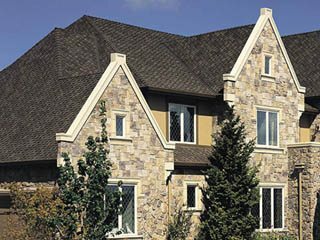 With an ingenious construction that combines two full-sized base shingles, CertainTeed’s artisans simulate the depth of natural slate, an illusion enhanced by wide scalloped corners, a deep shadow line and an oversized 8″ exposure. For more than a century, CertainTeed has led the way with innovative products and distinctive designs in asphalt roofing. Thanks to a patent-pending new technology, CertainTeed can now apply color to roofing shingles with a precision previously found only in nature. Centennial Slate replicates the natural color variations of blended slate with uncanny accuracy and color intensity – but at a fraction of the cost. 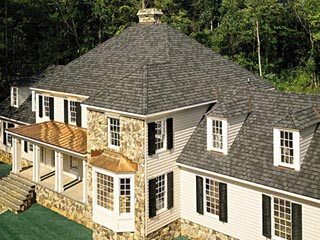 Presidential TL, with its sculpted rustic edges, is constructed using three laminated layers of the industry’s strongest, most durable materials, making it one of the thickest, toughest and best looking shingles on the market. The beauty of a wood shake with less cost and better performance. 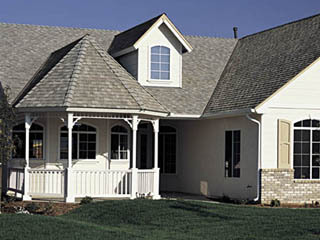 Landmark TL is constructed using three laminated layers of the industry’s most durable materials, providing a dramatically thick roofing product styled with the classic appeal of wood shakes. It was the first two-piece, random-tab laminated shingle we’ve ever produced. It may well be the most versatile shingle anyone’s ever produced.